Just bought this guy. Odometer reading was at 208k. 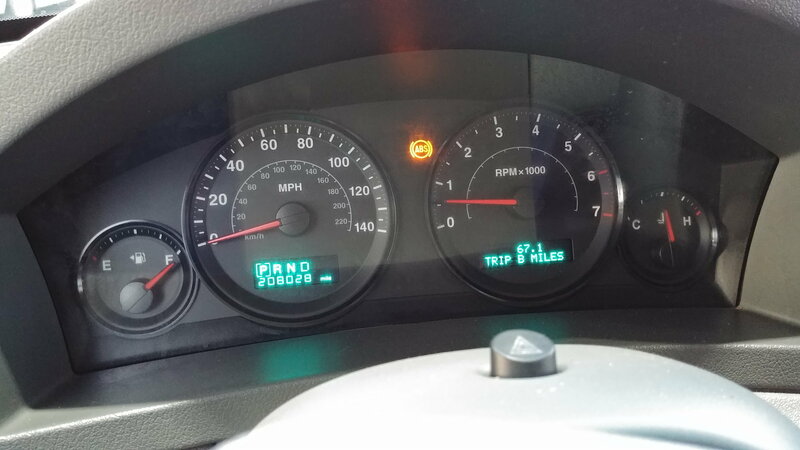 I reset both of the trip odometers at different times and it is now obvious that all 3 odometers are only logging about 1/2 of the miles we are actually driving. Discovered this while checking the gas mileage. The gas mileage that is calculated and displayed on the digital readout is also reporting incorrectly (10.5 mpg) which makes sense given what I've observed. Anyone seen or heard of this before? Looking quite obvious that this Jeep could have 300k + miles on it depending on when this bug started. In the pic I attached the trip shows I drove 67.1 but I know for sure it was ~ 125 miles. Good news is I'm actually getting ~ 19 mpg. Bad news is obvious. Thanks in advance for any tips! How do I change my Username after logging in with FB? ?